United Baptist Church as seen from Columbia Pike. 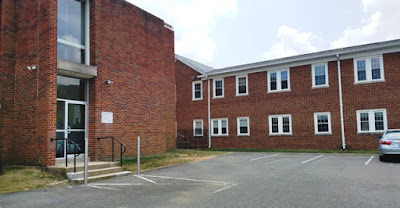 If you are part of an organization that benefits the community in some way and needs space to hold meetings or classes, United Baptist Church in Annandale has space available. Like many churches, United Baptist has seen its congregation decline over the years – from a peak of nearly 800 to about 300 today – and wants to put its vacant spaces to good use. 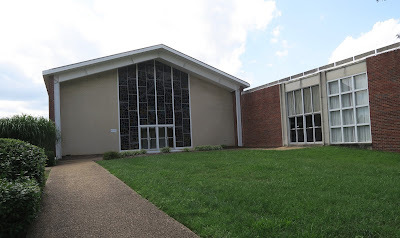 The church building, at 7100 Columbia Pike, has 45,000 square feet of space, including a sanctuary that seats 600, a gym, a small chapel, a fellowship hall that seats 210, offices, and classrooms. The church has in the past rented space to smaller churches, but they tend to want the building on Sunday mornings when United Baptist is at its busiest, says Rev. Dr. Wayne Yawn. And that’s a problem because the facility only has 87 parking spaces. 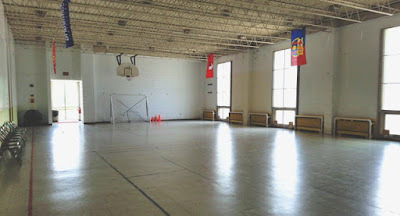 He would like to see groups that serve the public use the building Mondays through Saturdays. The church was established in 1942. 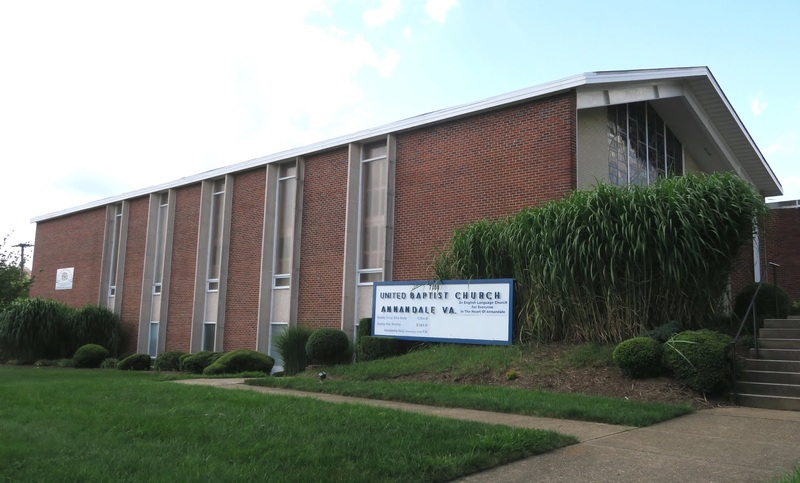 After World War II, when Annandale saw a surge in development, the churches grew, too, says Yawn, who’s served as pastor for 27 years. As more housing was built further out from D.C., members spun off three new churches – Braddock Baptist, Ravensworth Baptist, and Parkwood Baptist. 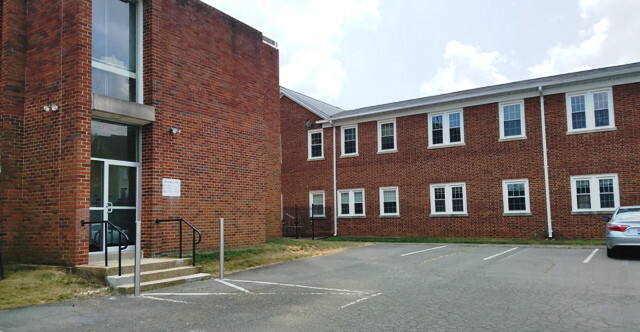 The building already houses a childcare program and the NorthStar Network, an organization that aids Baptist churches in Northern Virginia. A vocal teacher will start holding lessons at the church soon. Several groups already meet there, including TOPS (Take Off Pounds Sensibly), another weight loss group, an exercise group, and Toastmasters. The Shepherd’s Center of Annandale-Springfield holds luncheons there sometimes, the Royal Court HOA meets there every other month, teachers at the AACCA Child Development Center have professional development sessions there, and the Annandale Boys and Girls Club uses the gym for soccer practice in the winter. The rent for using the space will be less than the going rate, Yawn says. 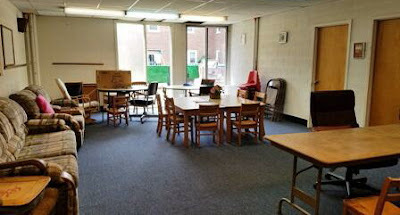 “Some of our groups do not pay anything,” he notes, “but the rent could end up being a sizable amount.” The rent would be set on a sliding scale, depending on what the group can afford, although the church does have to charge enough to cover utilities and building maintenance. Anyone interested in space at United Baptist should contact Pam Moyer, 703-256-5900, UBCoffice@unitedbaptist.org.